I have been using Gia Bath & Body works products since quite a few years. 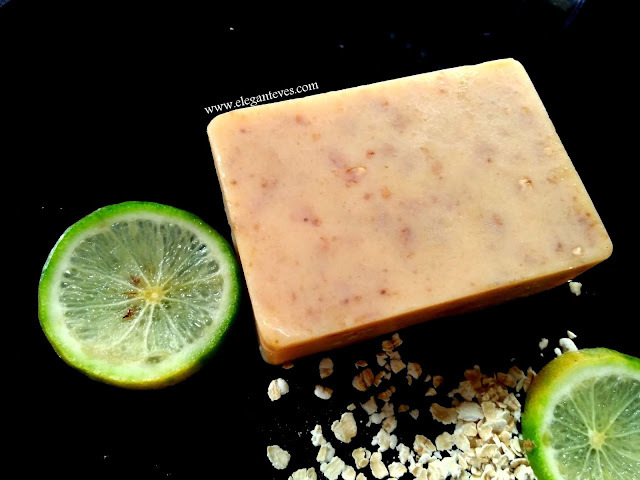 My very first purchase from them was the Mocha Crème exfoliating soap bar (Forgot to review on blog L ) and the Milk and Saffron bar (Read review HERE). After that came Mocha Orange exfoliating bar (read review HERE) which became my favourite of the lot. 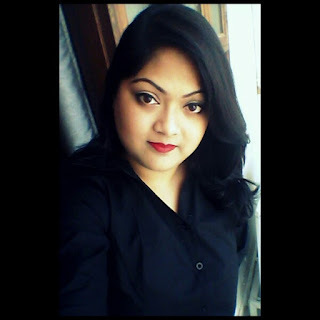 My love affair with the brand continued and I went on to purchase face scrubs, body scrubs, body lotion and what not from them (List of all reviews at the end of the post) Today’s review will be on a recent purchase i.e. Sweet Orange and Oats Soap Bar from them. I wanted an exfoliating bar and Mocha Crème one was not in stock. 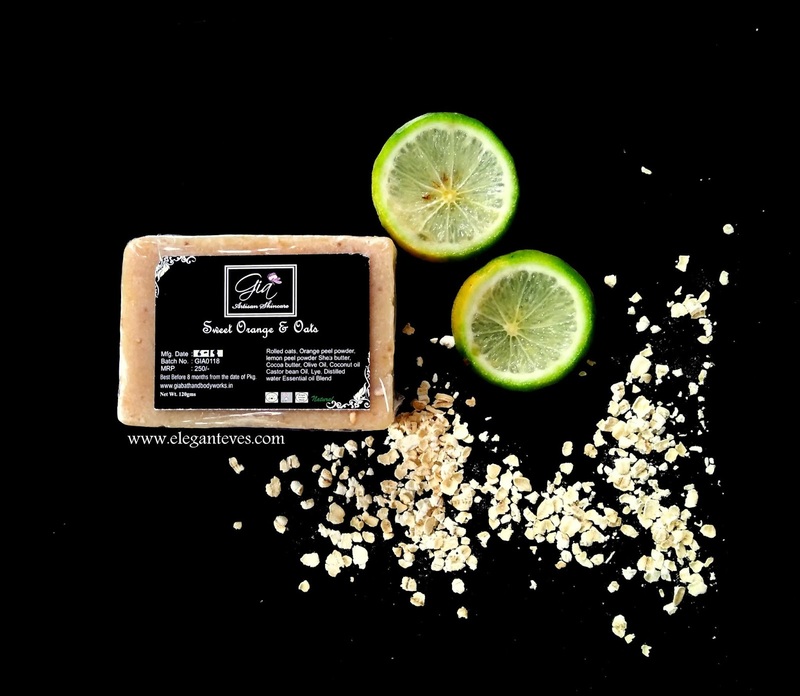 Also, this one had “kaffir lime” mentioned in their Instagram post and I lost no time in placing order! Who doesn’t like the fresh scent of oranges and limes in summer? Instagram page HERE, Facebook page HERE and their website http://giabathandbodyworks.in/ I would suggest you check their Instagram page for all recent stock and then get a consultation from Gayatri when placing an order. Very fuss free packaging these soaps have. They are wrapped in clingwrap and have a sticker on them which apart from the name of the product has all other information like ingredients, price, batch number, weight etc. 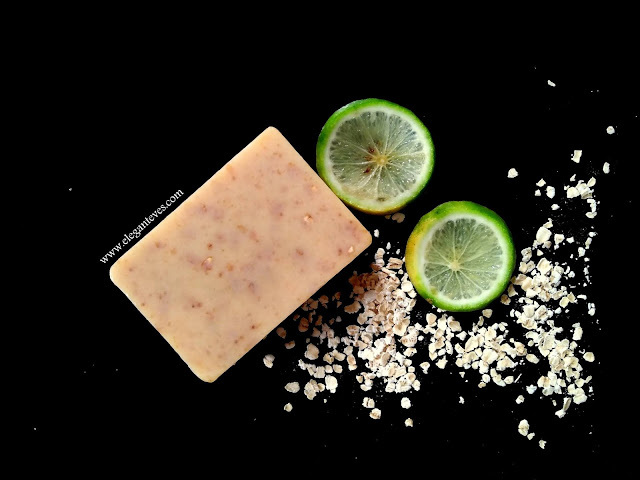 Rolled Oats, Orange peel powder, lemon peel powder, shea butter, cocoa butter, coconut oil, olive oil, castor bean oil, lye, distilled water and essential oil blend. I generally like my body scrubs to be grainy without being too abrasive. Mild body scrubs are not my thing. But these days, soaping myself AND then using a separate body scrub is a dream for me since my shower time can be minutes at max (New mommies will understand). So I needed an exfoliating soap bar. 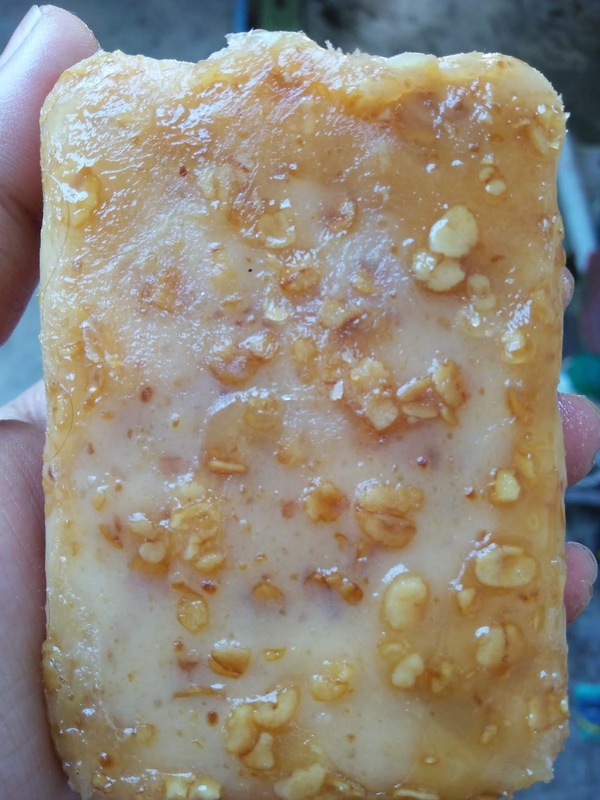 But I knew an exfoliating bar with “rolled oats” in it wouldn’t be grainy (like Mocha crème soap) and the exfoliating particles will be “flaky”. I was unsure if I would like it enough but I ordered it anyway looking at the “too good to be true” ingredient list. I have been using this soap since three days now and have used it around six times and still doing. I guess that is enough time to share my experience. The bar is quite huge and you can see the rolled oats all over it. The flakes come out better after the first lathering of the soap. I exfoliating flakes are very gentle on the skin and do not feel abrasive at all. There is a faint lemony/orangey fragrance but that does not linger after shower. 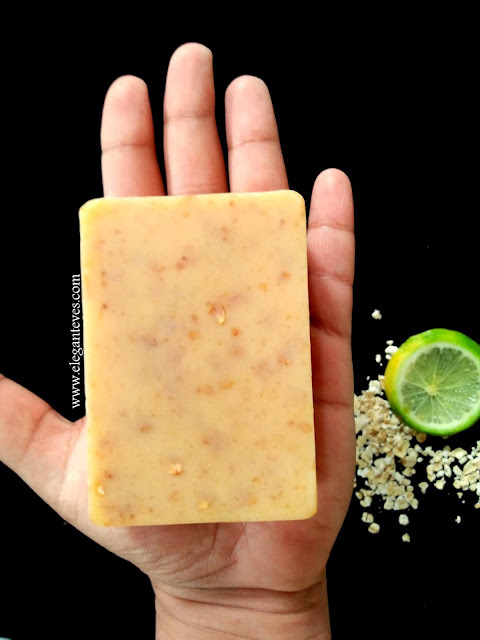 Now if asked which provided better exfoliation: Mocha Orange Crème soap or the Sweet orange and Oats soap bar, I would say both give a different effect. Mocha one has slightly stronger exfoliating beads (coffee granules) which is perfect for weekly or twice weekly, and the Sweet Orange and Oats one has very gentle exfoliating flakes which serves perfect daily purpose. 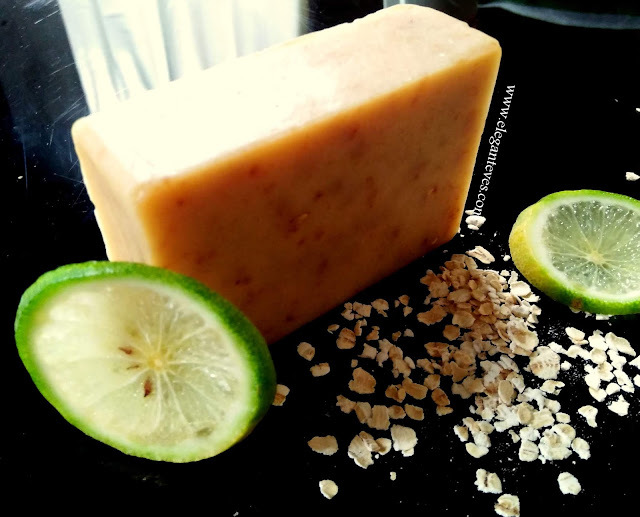 Also a word of caution here: Handmade soaps do not contain fillers like commercial soaps, hence it is very important that your store these in proper soap cases which can drain out water to avoid fast melting of soaps.